In the United States, there is a difference between bankruptcy and bankruptcy protections. "Bankruptcy" is a legal term indicating that a person or a business cannot pay their debts and has filed for certain protections. United States law provides for certain financial protections for anyone who files for bankruptcy. The protections vary depending upon the chapter of the bankruptcy code under which the debtor files. Bankruptcy law allows the “honest but unfortunate debtor” to start fresh by erasing some debts and arranging for the repayment of others, according to a finding in a 1934 Supreme Court case. Individuals file for bankruptcy in one of the federal courts. Debtors then decide under which chapter of the law to file. The 1964 Criminal Justice Act established a system of paying lawyers to represent debtors who cannot afford private representation. Chapter 7 bankruptcies liquidate much of the debtor’s property with the proceeds going towards the repayment of debts. The debtor, creditors and trustees hold a meeting to resolve the payment of the debts, usually through a combination of sales of assets and repayment using other income. Federal law exempts certain property from being used as payment, such as partial financial interests in homes and automobiles, health aids and up to $8,000 in household items. Debtors may retain an interest of up to $1,000 of any jewelry, which typically covers wedding rings. Debtors may also keep any tools and journals used in his profession. Chapter 5, subchapter II, section 522 lists the exemptions. Furthermore, federal law allows states to establish their own exemptions and debtors may choose between the federal and state exemptions. Chapter 7 usually means that a corporation will cease to exist. Chapter 13 protection allows individuals and businesses to retain their assets, but they must submit a repayment plan. Under Chapter 13, creditors may not pursue claims against the debtor nor contact the debtor. Chapter 13 also protects the debtor’s home from foreclosure. Under Chapter 13, the debtor must develop a plan to repay all debts; generally, all disposable income, or any revenue not needed for normal operating expenses, goes toward those payments. Debtors have three to five years to repay their debts. Small businesses may also file under Chapter 13. Should the debtor fail to meet his payments, creditors may then take possession of the debtor’s property. Chapter 11 protection typically covers corporate bankruptcies. Under United States law, corporations exist separately from the owner and any stockholder. Therefore, personal assets are protected from creditors’ claims. This law does not apply to sole proprietorship businesses, meaning creditors could take personal assets of the business owner. Businesses that file for Chapter 11 must file a reorganization plan and repay debts over time, allowing a business to continue to operate while repaying creditors. If a business fails to repay its debts, the bankruptcy court can convert the case to a Chapter 7 bankruptcy. Farms and charitable organizations are exempt from this rule, but they may voluntarily request a conversion from Chapter 11 to Chapter 7. Creditors can bring suit for an involuntary Chapter 11 case against a business if that business owes money. If a court finds that creditors filed an involuntary Chapter 11 petition in bad faith, the court can award damages to the debtor. Finally, the bankruptcy law has chapters for specific types of bankruptcy protections. Chapter 12 provides special protections for family farms and family fishing businesses, including streamlining the process and exacting lower filing fees. Chapter 9 addresses municipal bankruptcy, but the federal courts play a limited role in the process. Finally, Chapter 15 provides access to bankruptcy court proceedings to foreign creditors if an American citizen or United States-based business declares bankruptcy. McGann, Chris. "The Difference Between Bankruptcy & Bankruptcy Protection." 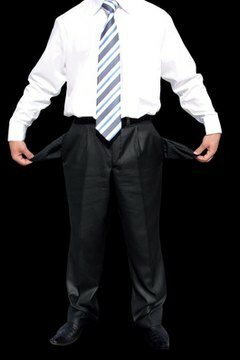 , https://legalbeagle.com/6689160-difference-between-bankruptcy-bankruptcy-protection.html. Accessed 19 April 2019.